Susan Lisker, MS, CRC, is the Director of the NYS Office of Alcoholism and Substance Abuse Services Stutzman Addiction Treatment Center located in Buffalo, NY. It is a 33-bed inpatient addiction treatment facility. Susan has helped to implement Trauma-Informed approaches through her work as the Director of the facility. 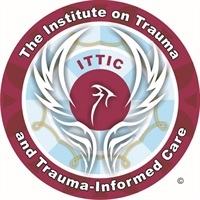 This included developing and implementing innovative Trauma-Informed Treatment utilizing Seeking-Safety, Dialectal Behavioral Therapy and EMDR. Susan has focused and dedicated her career to the addiction field. She is also an Adjunct Faculty member in the University at Buffalo Department of Counseling and Educational Psychology where she is able to share her knowledge and experience with graduate and undergraduate students.